San Diego DUI- What Next? Drunk driving laws are instituted by the state. Drivers who are arrested for a San Diego DUI for a first DUI violation will be imprisoned in a San Diego Jail for not less than 96 hours, 48 of which must be continuous, up to a maximum of six months. San Diego DUI offenders will also be required to pay a fine of at least $390 but no more than $1,000. If continuous imprisonment would interfere with the persons work schedule the courts have leeway to imprison them on days they would normally not have to work. It is illegal to operate a motorized vehicle in all states and cities, including San Diego, with a blood alcohol concentration of 0.08% or higher. 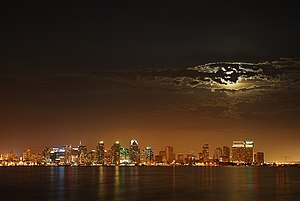 Drivers who are arrested with a BAC which is less than the illegal limit may still be arrested for a San Diego DUI if the state can prove they were not able to safely operate their vehicle. What happens at the first court date for a San Diego DUI? The first court date in a San Diego court is called the arraignment. At the arraignment you are asked to enter a plea for the charges the state has brought against you. You can enter a guilty, not guilty or no contest plea. The police report and the states complaint against you may be given to the court. If you have been charged with drunk driving in San Diego County for a misdemeanor DUI and you have hired DUI lawyer you will not have to appear in court. If you have been charged with a felony San Diego DUI you will have to appear, regardless of whether or not you have hired a lawyer. What if the police failed to read me my Miranda Rights at the time of my DUI arrest? Too many DUI offenders have watched too much television and misunderstand the purpose of the Miranda warning. Miranda warnings must only be read to you if you are under arrest, which means you are in police custody, and you are about to be interrogated or questioned about a crime. If you feel like you have made statements to the police after your San Diego DUI arrest and have been questioned without having your Miranda Rights read to you have a San Diego DUI lawyer review your case. Can I have my drunk driving charges reduced to a wet reckless charge after a San Diego DUI arrest? Some drivers who are arrested for DUI in California with a BAC below the legal limit can be charged with a wet reckless. First time San Diego DUI offenders may also be able to have their DUI charged reduced to a wet reckless. A wet reckless charge will remain on your record for 10 years, and if you are arrested a second time for DUI the wet reckless will be considered a first DUI offense when the courts are assessing penalties for the second DUI (assuming the wet reckless charge occurs within 10 years of the second DUI conviction).